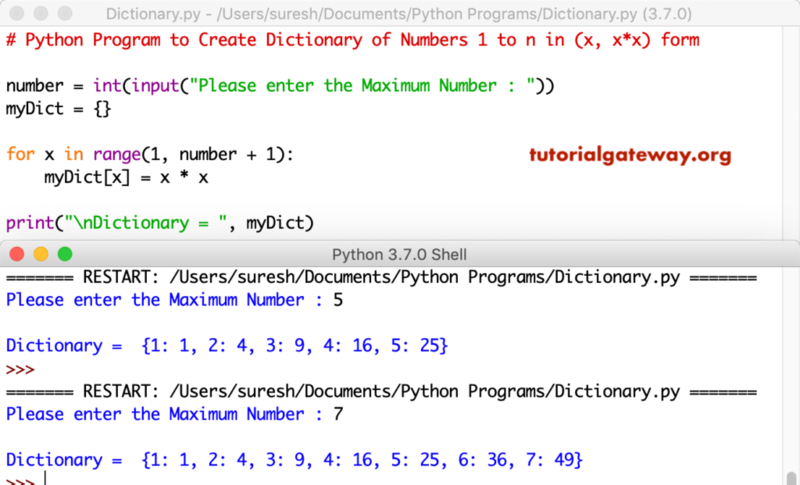 In this article, we will show you, How to write a Python Program to Create Dictionary of Numbers 1 to n in (x, x*x) form with practical example. Before you start, please refer Dictionary article to understand everything about Dictionaries. In this python program we are using using for loop to iterate from 1 to user specified value. Within the for loop, we are assigning values for dictionary by using * operator.